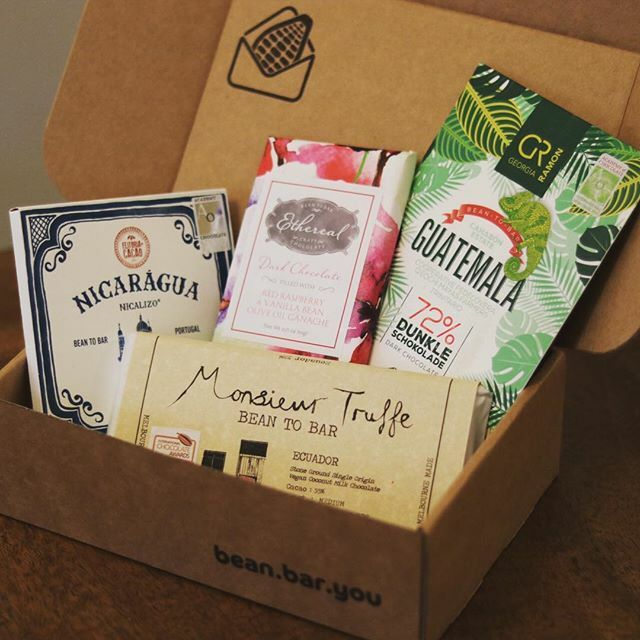 May saw our Bean Bar You subscribers try more special bars from around the world. The namesake of the the month was brought to us by Ethereal Confections (Woodstock, Illinois). Rocking a gorgeous mould their ‘meltaway‘ bars contain a special layer of olive-oil based ganache, which give a lovely flavour and texture. 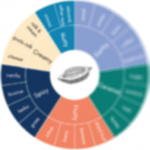 Subscribers from early 2017 tried a similar concept in some of the Mirzam bars. The Ethereal bars contained either vanilla or raspberry and they’ve already been labelled ‘favourite of the year’ among some subscribers! The first Portuguese bars in the Bean Bar You collection come to us from Feitoria do Cacao. Portugal holds a special place in the hearts of Chris and Alison as Lisbon Chocolate Festival was the first chocolate festival we ever attended – it melted our hearts and we knew right away that Bean Bar You was going to happen. This month we revisited the marvellous Monsieur Truffe from Melbourne. They’ve been making a vegan ‘milk’ chocolate and that’s a special treat for our vegan subscribers who usually are focused on the darker side of the chocolate world. Last but not least, Georg and Ramona bring us Gerogia Ramon from Bonn, Germany. We tried 3 bars, 2 from Guatemala and one extra dark bar from Haiti. We hope you like them as we’d really love to reorder from them again soon – they make some amazing exotic flavours. It was Georg’s 5.6kg book documenting his exploration through the world for chocolate which motivated us to make Bean Bar You personalised. Chocolate is such a personal thing and we often notice how the same bar can resonate better with one person or another. The Reference Standard was Georg’s adventure – Bean Bar You is yours & ours!